MobileScan application is intended to be used by Coca-Cola HBC employees and third-party vendors who are visiting outlets and are given access to cooler scanning functionality. 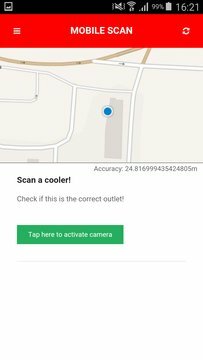 With this app you will be able to easily scan barcode equipment and confirm its location. 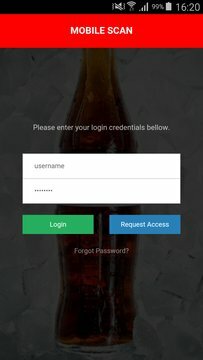 Please note that in order to use this app you need to obtain a user name and password from Coca-Cola HBC.